Just a quick post today to show you these Boots Botanics Facial Loofah's I picked up a few weeks ago in Boots, they come in a little pack of 4 and when you first pull them out of the pack they are thin and quite hard which I was slightly anxious about, I did have thoughts of whether I would have any skin left on my face after using them, but luckily they transform when wet. They increase in thickness and the soften up quite a lot when you run them under water, they still have a slightly rough texture but this is what I was looking for and expecting really and it didn't feel like it would be too harsh on the skin. I have been using these once or twice a week with my Biore Skin Balancing Cleanser (review here) to get rid of any dry or rough skin and they have worked brilliantly, my skin feels so lovely after using them, clean and smooth. I was having a few issues with breakouts around my chin area which I think i've mentioned before and since sticking to this little routine it's cleared up, I don't know whether it's solely down to these as I have been drinking Dr Stuart's skin purifying tea and taken Starflower Oil tablets as well, but I think that they have definitely helped. These are quite a bargain price at £2.75 for 4 and I will definitely be re-purchasing. Have you guys used these, do you like them? 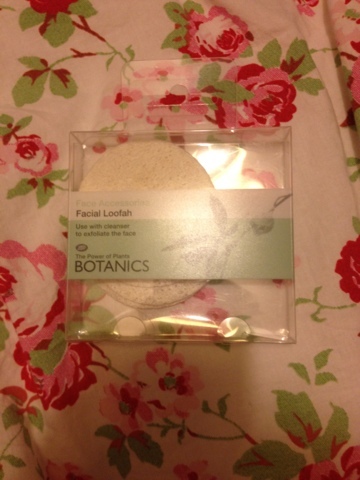 3 comments on "Boots Botanics Facial Loofah"
They look great, will be definitely purchasing them next time I go too Boots! Come and have a look at my new Primark haul! 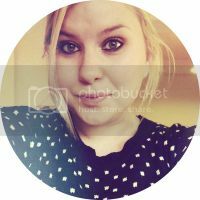 I've nominated you for the Liebster blog award! I love your blog!